I was so excited to get home from the US (photos and extremely long blog post coming soon!) 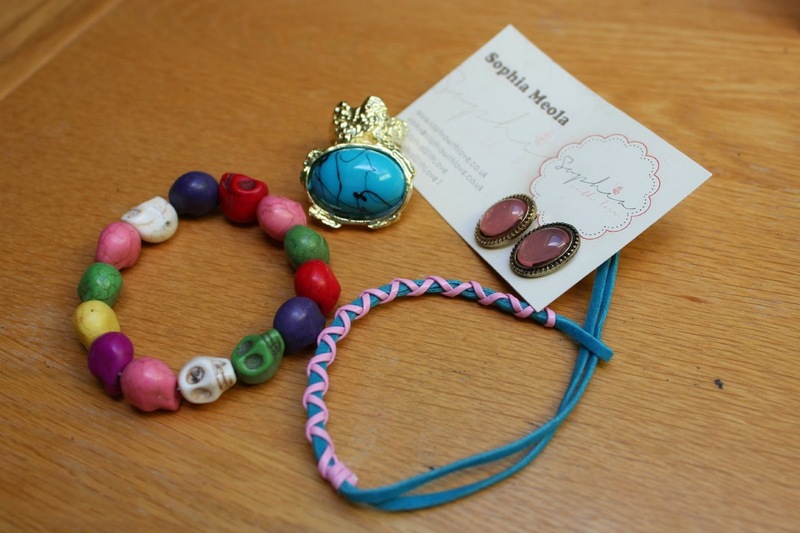 to find my package from the lovely Sophia had arrived! I won a giveaway last year where I won two pieces from her online store and I absolutely love them so I am so excited to have some more items to wear! I think my favourite items are the ring and earrings, I was so excited to find the ring in my package! Since finding Sophia's store I had my eye on this ring! I have wanted one of the YSL arty rings for ages but they are just crazily expensive, this ring is so similar and I absolutely adore it! The earrings are also absolutely beautiful, they are definitely something I would have picked out myself! Everything on the store is really reasonably priced and great quality! If you haven't checked out Sophia's blog and website please do!